We, the Indians, love to talk about a Hindi film which is influenced by any overseas film, especially an English language film. 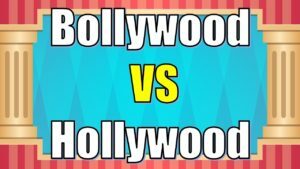 We even find it interesting to criticise a Bollywood film which has a bit similarity with any regional film; i.e., Tamil, Telugu, Marathi, Punjabi, or Bhojpuri film. Very few among us think or speak about the reason or reasons behind such influence. Why two different films try to amplify a similar story? What inspires a filmmaker to think and work on a project which is identical to an already-made film? Isn’t it the story or concept of that movie? Let’s have an elemental discussion on this. As said and believed, the concept is the basic plot of a feature film. It brings the characters in its own accord. A genius story is stimulus enough to engage its viewers into its own stream. 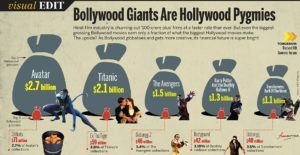 If we make a little effort to count the number of people, who are familiar with an assembly of Hollywood films those are derived from Indian cinema, we find it fewer. We all are familiar with the fact that a first-rate story, whether it’s written in North India or South India, is stimulus enough to attract a genius filmmaker or an acknowledged actor of Hindi cinema. Can it inspire a British or American filmmaker to work on? Well, how Indian film industry has influenced American film industry is not the topic of discussion today. 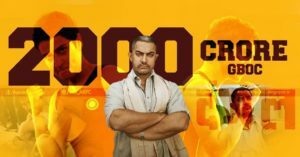 Here’s a composed list which will tell us about some films that were made in English language but inspired from Indian as well as other country blockbusters. At the same time, we will read about the Indian blockbusters that are inspired by overseas films. Barfi was selected for official entry to the Oscars in 2013. Many of us believe that the Ranbir Kapoor and Priyanka Chopra starrer was the best Hindi film of 2012. It is believed that some of its prominent scenes were copied from several foreign language films like The Notebook (American film, 2004), Singin’ in the Rain (American film, 1952), City Lights (American film, 1931), Project A (Chinese film, 1983), Cops (American short silent film 1922), Oasis (Korean film, 2002), etc. Indian director-producer Vipul Shah made science-fiction romantic comedy Action Replayy. As per authentic sources, the 2010 project was inspired by the concept of the American time-travel adventure comedy film, released in 1985, Back to the Future. Indian film Vicky Donor leaves no stone unturned when it comes to viewer engagement. It was written by an advertising professional who has recently emerged as a famous scriptwriter of Hindi film industry. This project is all about a man who engages himself in donating sperms to the childless couples. 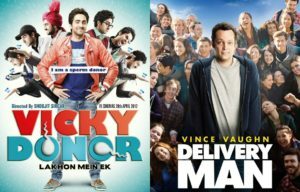 Prominent Hollywood film producer Vince Vaughn has come up with a new project; i.e., Delivery Man. Hence, Juhi Chaturvedi’s idea has been recreated next year which was perhaps a great example of concept influence. Not only is a national level film, a regional film compelling enough to inspire a well-known filmmaker if it has an engaging story-telling process. Satyajit Ray film Charulata (popularly known as The Lonely Wife) was released in 1964. It had been reassembled in Hollywood by Ira Sachs in 2005, and Forty Shades of Blue was being built. Or the example of Aahwanam can also be raised in this context. The Tamil film which was released in 1997 was reassembled in 2012 as Divorce Invitation in Hollywood. We find more examples when a genius story had inspired two or more filmmakers, from different film industries, in different times. Blockbuster films are all about bestseller stories, and there is no doubt in this fact.